Germany is the best country for teaching English in Europe. There are many job opportunities in different cities, ESL wages are high, and it is relatively easy for non-EU citizens to get a work permit. Get certified to teach English in Germany with OnTESOL! Munich is a city of folklore and traditions. 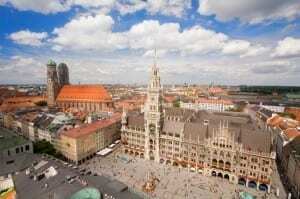 Home to world-class industries, Munich is a dynamic city known for great musical and cultural events. This is a great city for teaching English in Germany because there are lots of jobs available in every segment and plenty of activities to do all year round. Munich is perfect for both young and mature ESL teachers. Here you will find historical museums such as the Alte Pinakothek and the Residenzmuseum, or modern museums such as BMW Welt or even beer halls. Talking about beer, Munich is home to some of the best local breweries in the world and is the best place to spend Oktoberfest! 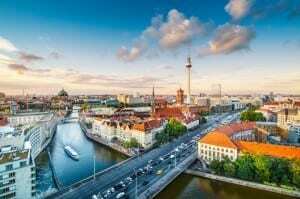 Teach English in Berlin! As the second largest city in Europe, you will find plenty of jobs in General English, Business English, and TEYL. Berlin offers a great social scene to young ESL teachers. Enjoy a diverse architectural landscape and a great variety of entertaining activities, from museums and art galleries to jammed cafes and nightclubs. Known for great theatres and festivals, Bochum is the cultural and traditional center of the Ruhr region. It became an important player in the German economy when steel and coal mining industries started to thrive in the 19th century. Today, Bochum is home to big businesses that include Opel and RIM. This is a great city for teaching Business English. Job opportunities are available in every ESL sector. Another great option for teaching English in the Ruhr region is the small German city of Dortmund. 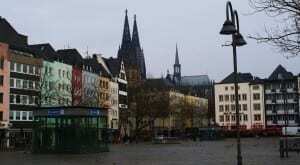 The Romans founded Cologne in 38 BC and the city is very rich in architecture, history and entertainment. This is a great city for young ESL teachers. 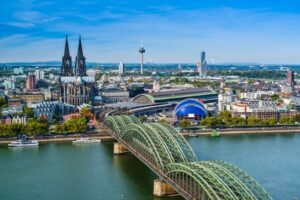 As the fourth-largest city in Germany, Cologne offers great job opportunities and a very active lifestyle. ESL teachers in Cologne enjoy the mildest winters and nice hot summers too. Freiburg is the greenest city in the world. This medieval city has an extensive pedestrian zone and 80% of people use public transportation. Solar energy use is very high in Germany in general, but it is the highest in Freiburg. 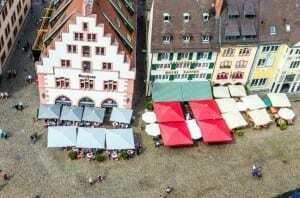 There aren’t many ESL schools in this small city of approximately 300,000 people, but Freiburg offers a truly unique experience for those who want to teach English in Germany.